Sundays are busy days for us. I often wake up early to cook oatmeal for the kids. Last Sunday I decided we're close enough to Fall that I need to start baking. 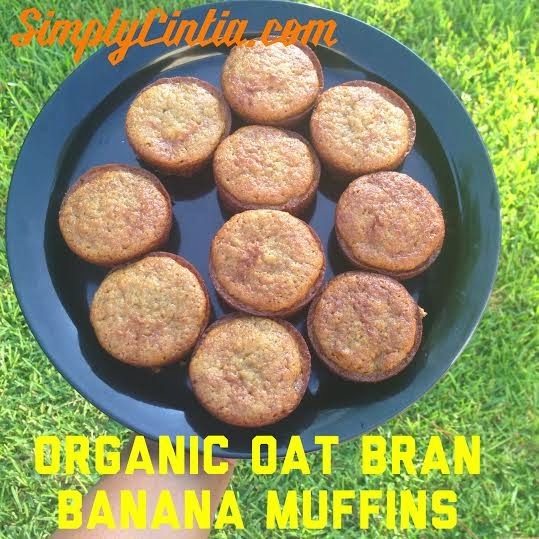 I had some Organic Oat Bran flour in the pantry as well as lots of bananas so I decided to give this recipe a try. Needless to say the kids loved it! 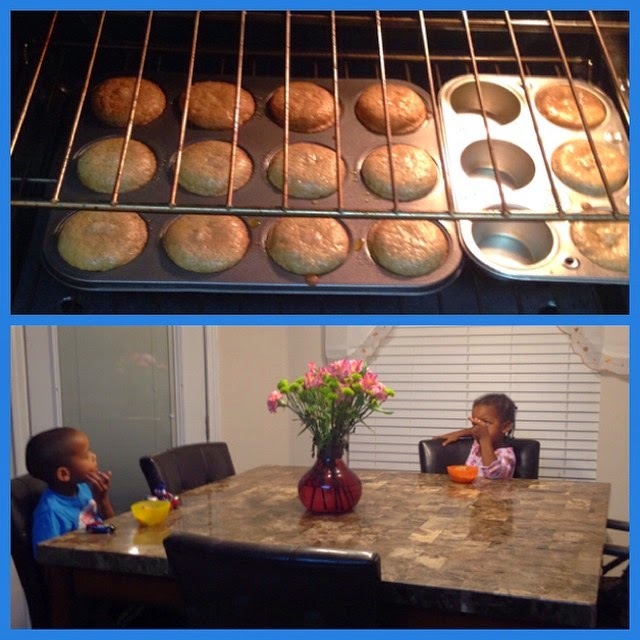 I gave them a side of fruit and the muffins and they were very happy campers! I also think they loved the fact that they helped me mix the ingredients. Eating something you baked yourself is super fun! I hope you enjoy this Growing Up Listenbee approved recipe! Put cupcake liners into a 12-er muffin pan. Cream butter and sugar (I popped my butter in the microwave for a few seconds). Beat the two eggs and add them to the sugar/butter. Mash the bananas in a bowl. Combine bananas, flour, baking soda, and sugar/butter/egg mixture. Fill each muffin hole about 1/2 way. Bake in the oven for 25 minutes. Enjoy!